Their first live show took place in 2010 kick-starting the band to keep playing which led to further shows in CZ and abroad with the bands like Agathocles, Holocausto cannibal or Wormrot. 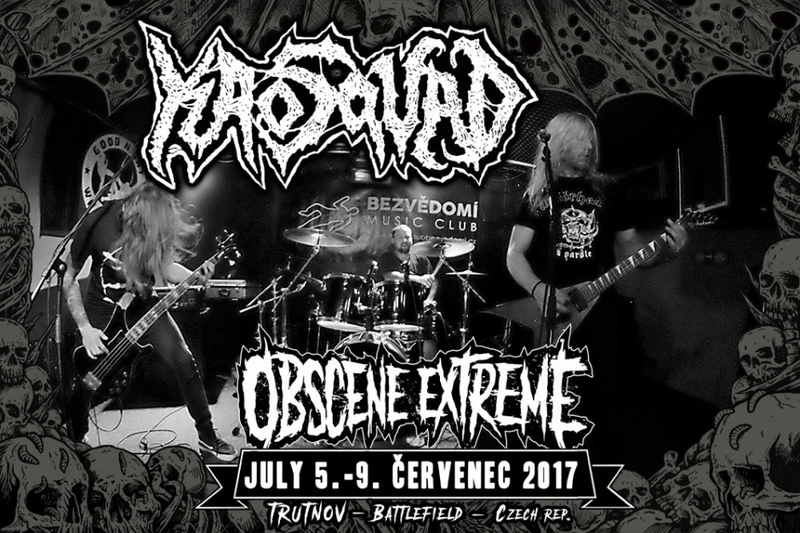 KAOSQUAD have just released a brand new 7“EP called „Institute for Mental Decay“ and we are happy to welcome them at OEF 2017 stage to provide us a proper portion of oldschool grindcore!!! It is 2009 and Kozel (now also a member of Lahar) together with Víťan, were at the time a two member project spitting out rotten melodies titled Pyosemia, and they are talking to Aleš (Ex-Grex, Mururoa) whether he would sit behind the drum chair. They realize, after a few band practices, that their delight in old school grindcore and metal is mutual as well as a positive attitude toward alcohol. And thus began the history of Kaosquad. Our first live show was held June 4, 2010 and a positive feedback starts up our next chapter which takes us outside the Czech Republic.